Maryland may be a tiny state on the East Coast, but it’s jam-packed with diversity and beauty. When you visit this state, you can choose between the ocean, mountains, bays, cities, and countryside. Whether you’re a die-hard Ravens fan toping everything off with Old Bay seasoning already, or you’re just passing through the Mid-Atlantic for a visit, you’re sure to fall in love with the charm of this place. Just an hour away from both Baltimore and Washington, D.C., the Chesapeake Beach Resort is perfect for city dwellers looking to escape into tranquility for a weekend. 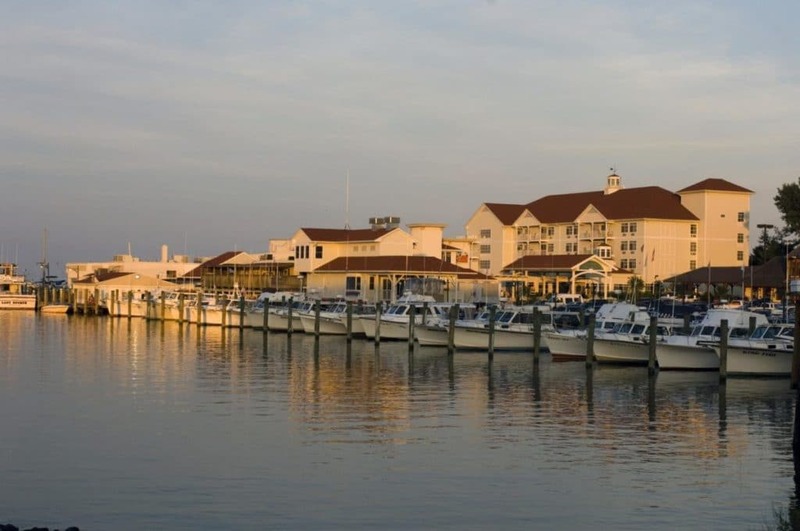 Situated right on the water, this cozy resort brings you right to the Chesapeake Bay. For some, the ideal weekend could mean simply relaxing with the gorgeous views, indulging in some famous Maryland Crab Cakes. For others, a trip to the Chesapeake could mean charter fishing, kayaking, paddleboarding, jet skiing, and more. Whichever type of guest you’re in the mood to be, the Chesapeake Beach Resort is ready to welcome and pamper you.